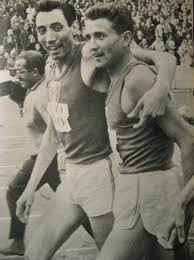 This Friday January 30, 2015 my two best friends in Track and Field and in life will be involved in a ceremony honoring one of them. 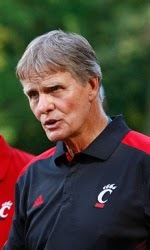 Steve Price will be inducted into the Ohio Track and Field Coaches Hall of Fame. Bill Schnier, already a member, will be making the presenting speech for Steve. Steve is an Ohio boy, born and bred. Because his family was somewhat itinerant in his formative years, Steve attended a lot of public schools growing up. 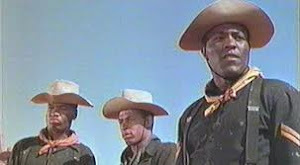 He was in four or five schools in the fifth grade and had to fight to defend his four sisters' honor in every one of those schools. He finally ended up graduating from Lemon Monroe High School half way between Cincinnati and Dayton. 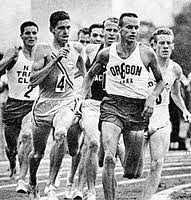 From there he went on to college at 'the cradle of coaches' Miami University in Oxford, Ohio where he was a 'modest' talent on the cross country team. But watching all those good runners from behind he obviously picked up a lot of ideas about running. 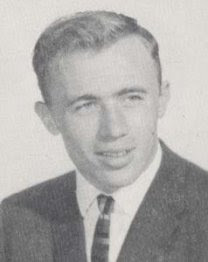 Soon after graduation he began teaching in Kettering Public Schools and got very involved in road racing in the early 1960's competing around the Midwest and running a 2 hour 57 minute marathon at Boston in 1964. Hitchhiking to races was common place for young runners in those days. He told me once about hitching from Oxford to the Around the Bay Race in Hamilton, Ontario with his roommate, who was from Hamilton. After the race his roommate decided that he was not returning to Miami, because of a girlfriend problem in Hamilton. So Steve had the thrill of hitching alone back to Ohio in the winter. 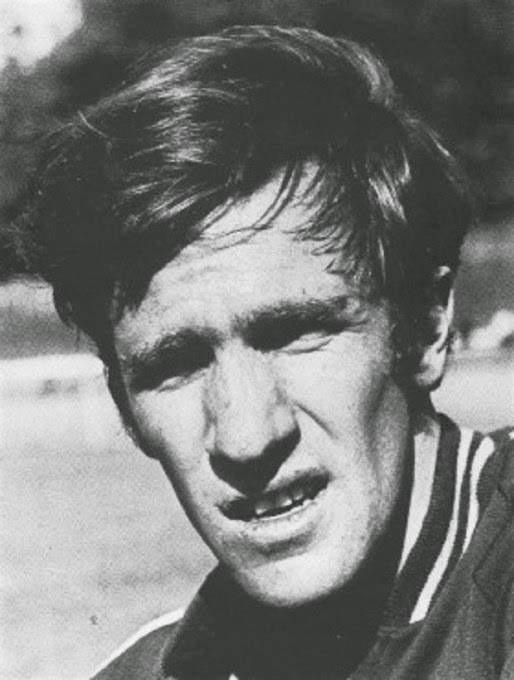 In the late 60's Steve became one of the co-founders of the Ohio River Road Runners' Club (ORRRC) and began organizing marathons, 24 hour relays, and shorter races in the Southwest Ohio area. He was race director of the first Monroe Marathon which rolled past his mother's house and tragically resulted in one of the participants passing away on his mother's living room floor after collapsing near her house. While teaching physical education at Southdale Elementary School in Kettering, Steve founded the Kettering Striders Track Club. 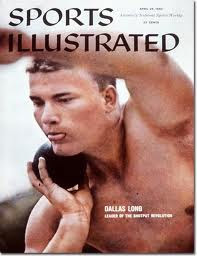 For several years he had been holding 'field days' at the school to introduce Track and Field to the kids. 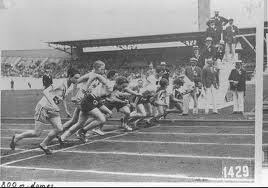 Initially it was an opportunity for elementary school girls to participate in Track and Field and later boys were also invited to participate. Many of the Kettering Striders girls moved on to run track in their high schools once those programs were open to girls, and many of them had already won national age group titles before starting their high school careers. The ones who were at the top of the pyramid went on to college. Brenda Webb was one of the Striders' first national class runners, then came Terri Siepel , Cindy Brown, Laura Kirkham, Susan Ruiz, Kathy Welch and many others. 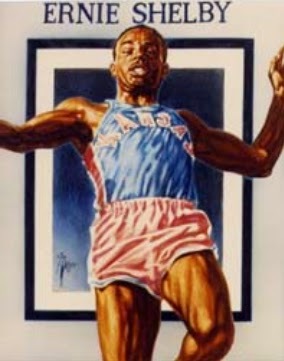 On the men's side Joey Greene became an Olympic medalist twice in the long jump at Atlanta and Barcelona. 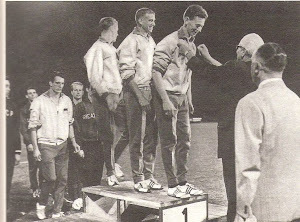 Phil Scott was a national champion in the indoor pentathlon and outdoor JUCO decathlon champion one year. There were a number of people who helped coach the Striders during that time, but Steve was the driving force behind that successful club. 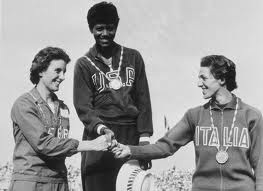 They also hosted the women's national cross country championships in 1974. 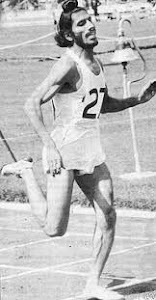 Because of the Striders' success, Steve was named to several national coaching staffs including a world race walking championships in Dusseldorf 1977 and to the US team for the 1974 Russian dual meet in Moscow. 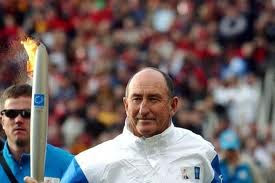 Twice he was on the coaching staff at the US Sports Festival. The club started to wain once high schools began incorporating Track and Field into their extra curricular programs for girls. This left Steve out of a coaching job, but not for long. He went on to work for the United States Sports Academy and was posted to Bahrain in the Persian Gulf where he served as head distance coach under Vic Godfrey who was in charge of that program. 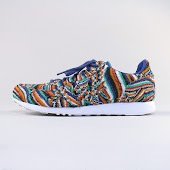 He traveled throughout the Middle East during that year and a half going to international meets with his runners. 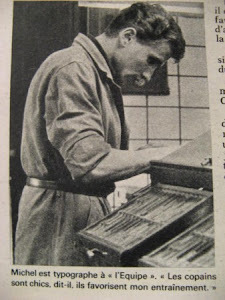 Then he returned to the States and back to his job teaching in Kettering. 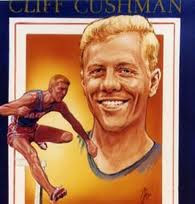 He soon took up the reins of the University of Dayton Flyers in 1983 when that school started men's cross country. 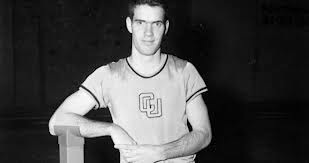 He operated for several years on a minimalist budget (including a $500 salary), getting a bus that he drove, a few uniforms and a bunch of walk ons and started the program that is still going today. However today's team is no longer allowed to take a few cases of beer along on in their vehicle. In 1989 Steve became the women's coach at Bowling Green State University. 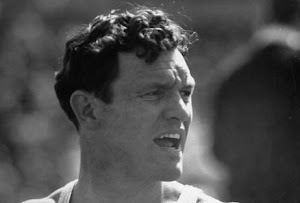 He had some tremendous women's cross country teams and won the All Ohio cross country meet one year with a near minimal 22 points, against the likes of Cincinnati, Ohio State, Ohio U., Toledo, Miami, Akron, and Kent State. 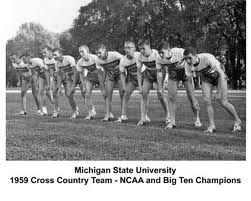 His teams became a spoiler in the tough Midwest Cross Country Regional as well, once qualifying as a team for the Nationals. That team consisted of girls who were not stars on their high school teams, but middle of the roaders who really developed under Steve's tutelage. To be on Steve's teams was more than just training and racing. 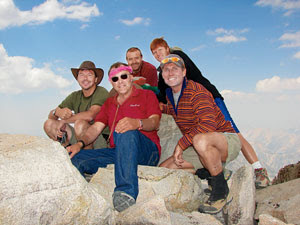 Steve enjoyed the 'good life', and he wanted his teams to do so as well, if they stayed within their budget. A trip to New York City was a must every year as well as a lunch at the Stage Deli. 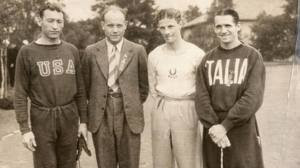 He once arranged a triangular cross country meet with Yale, North Carolina, and Bowling Green at New Haven. You never ate in a fast food restaurant if it could be avoided. You went where there was a wait staff, and no one began eating until the last person was served and grace was said. Those were house rules growing up in Steve's family and they were team rules. If there was a piano in the restaurant, Steve would be at the keyboard entertaining the kids with his blues and boogie woogie repertoire. Shortly after Steve went to Bowling Green in 1989 he contracted a malignant cancer in his throat and underwent a lot of heavy duty radiation and surgery which damaged his esophagus, his salivary glands , and vocal chords making it very difficult for him to talk, but he never lost his zest for coaching or living. 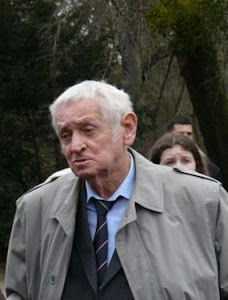 Just before he got ill he married Christine Jacomet , and she has been an incredible support to him all these years. I remember once visiting Steve in the hospital when he had a portion of his tongue removed due to the cancer spreading. He had to miss the Miami Invitational Cross Country meet. In one of the nicest acts of a rival, Rich Ceronie, the head coach at Miami, got on the phone to Steve at the start of the meet and gave him a running account of the race as it progressed. I think Rich thought Miami would prevail, but Steve's team ran a great race that day and Bowling Green dominated. Rich, to his credit, never hung up the phone and announced to Steve that Bowling Green had won the meet. Steve was on a feeding tube for awhile, and we would go out to parties or to clubs to hear music. His will to enjoy life often led to his pouring a few shots of liquor into his feeding tube to get in the right mood to listen to some hard driving blues or bluegrass of which he is also fond. Steve made it to retirement age and eventually left Bowling Green. He and Chris moved back to her home town of Piqua, Ohio a few years ago, but he couldn't leave the coaching game. Marc Arce, who coaches at the University of Findlay, not far from Bowling Green, contacted Steve about coaching up there, and Steve jumped on it. 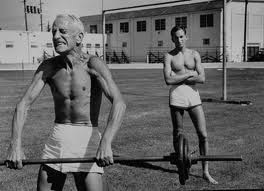 He would commute the ninety miles each way three times a week to coach and attend meets on weekends. With his musical talent he would keep a regular schedule playing the piano in nursing homes on the the way up I-75 to Findlay. While at Findlay, where he is still coaching, he developed hurdler Kirby Blakley into the NCAA DII Women's Athlete of the year in 2005. I recently asked Phil Scott who was coached by Steve for several years , why he thought Steve was such a successful coach. Phil answered, that "Steve was the kind of person that inspired, was knowledgeable, caring , and whom you always wanted to do well for." It's as simple as that. Ultimately the problems with his throat and losing the ability to swallow, put him back on a feeding tube for the past 5 years. His weight has gone down to 115 pounds at one time, but recently it is back up to 135, and he is feeling well at last report and ready to go get his award this Friday as the latest member of the Ohio Track and Field Coaches Hall of Fame. Best wishes, Steve , from all of us down at the OUTV offices. Steve, Keep it warm and wrapped up, and don't put your saddle on the wrong horse. 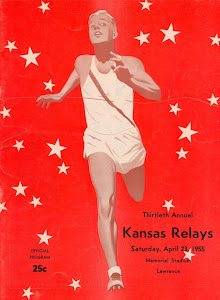 Some of you old timers probably remember Ernie Shelby of University of Kansas, an All American Long Jumper in the late 1950's, teammate of Wilt Chamberlain, today a jazz singer and composer. 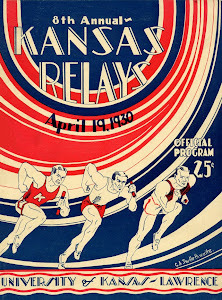 This article appeared in KU's Alumni Journal this past week. 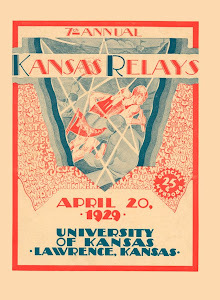 Homer Floyd, d’61, KU’s first African-American football team captain, and Ernie Shelby, f’59, KU’s first African-American track team captain, returned to Mount Oread for Martin Luther King Jr. Day events Jan. 19 in Lawrence. After a program in Strong Hall, the two participated in a candlelight walk with about 125 students and faculty members to the Kansas Union for a Social Justice Celebration. Later that evening, Floyd and Shelby were honored during the Jayhawks’ rousing 85-78 victory over Oklahoma. 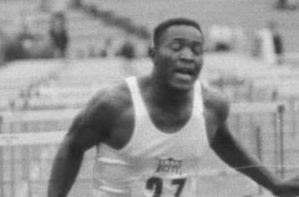 Floyd was an all-conference running back, and Shelby was a national-champion long jumper. 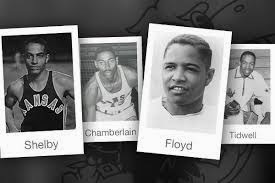 In 1957, the two, along with All-America men’s basketball team captain Wilt Chamberlain, ’59, and All-America sprinter Charlie Tidwell, ’61, met with Chancellor Franklin Murphy to ask for his help in changing the discriminatory practices of Lawrence businesses. At their urging, Murphy, c’36, convinced local businesses to provide equal service and access to African-Americans. 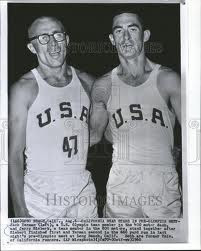 Floyd (left in photo below), who now lives in Harrisburg, Pennsylvania, led the football team as co-captain in 1958 and went on to a distinguished career as a civil rights leader. 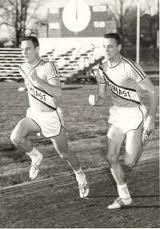 Shelby (right), of Los Angeles, led the track team as captain in 1959, when the men’s team won the NCAA Outdoor National Championship. 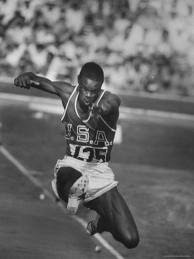 He won the national championship in the long jump in 1958 and ’59 and earned All-America honors. Shelby is a jazz composer and singer. 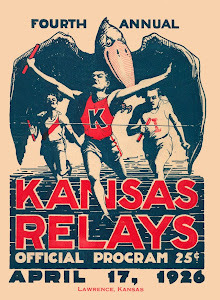 These lines are from a Sports Illustrated report on the 1959 NCAA meet at Lincoln, Nebraska. 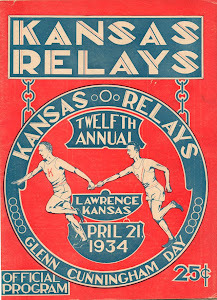 The University of Kansas, led by versatile athletes like Ernie Shelby (right), whose leap against the Nebraska sky gave him first place in the broad jump and who finished third in the low hurdles and fifth in the hop, step and jump, won the National Collegiate track and field championship last weekend at Lincoln in a two-day meet studded with bizarre and unlikely happenings. Here's a youtube link to a recording of "Summertime", by Ernie Shelby. Maybe he and Marty Liquori need to get together for a session. champion and national record holder. 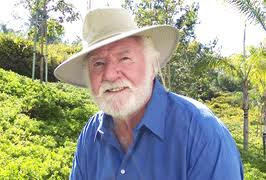 Gordon Dickson, my friend and lifetime Idol passed away yesterday after a short illness. 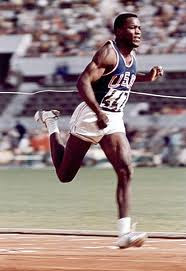 Gordon was one of the best distance runners on the continent during the late 1950s and early 1960s. runners on this continent could match him when he was not injured. lot younger than we were. Very memorable runs. Gord was ahead of his time and studied the sport. 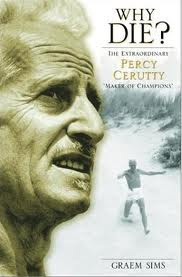 At one point in his life he spent time in Kenya training distance runners. 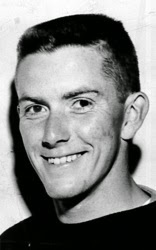 Gord Dickson started out as a high school miler, earning a track scholarship to [Drake University]. 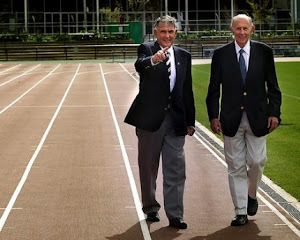 both the 1958 and 1962 Commonwealth Games, placing 5th in 1958 and 12th in 1962 in the marathon. Education, where he worked for 25 years. 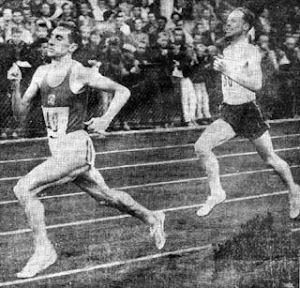 Personal Best: Marathon – 2-21:51 (1958). Here is the progression of Canadian Marathon Records for both Men and Women. 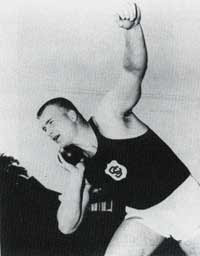 Gordon held the Canadian record for over 7 years. 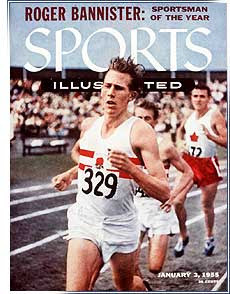 This issue of Track and Field News with Peter Snell, the 1964 Athlete of the Year, on the cover, is a wondrous thing to behold. Just holding it 50 years later gives one the warm fuzzies. 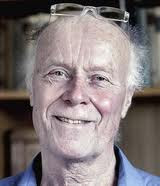 For an excellent 20 minute New Zealand produced documentary on Peter Snell, refer to link below. It lists the top 50 marks for each event, the top 50 US marks, the top 15-25 high school marks, the top 20 indoor marks and the top 15-20 frosh-JC marks. More significantly (and subjectively) it ranks the world's top ten athletes in each event and names the Athlete of the Year in both track events and field events in the world, US, Europe, college, JC, high school, cross country and indoor. If one wants to know who was the world's sixth best steeplechaser, the athlete with the nineteenth best discus throw or the eighth best high school half miler, it's here. An aging track fan could settle in with a hot cup of cocoa and be good for the evening. What it doesn't have is many results of recent meets. The indoor season is slow to get started. Down under, the Australian and New Zealand seasons are limping to a close. That said, they go out with a bang, not a whimper, as Ron Clarke adds another world record to his already impressive collection. 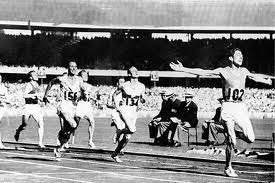 When the runners reacted to the starting pistol in the 5000 meter race in Hobart, Australia onJanuary 16 the world record is 13:35.0 set seven years before by Vladimir Kuts. Thirteen minutes, thirty-four and six tenths later the record belongs to Ron Clarke. How he did this remains unclear. There are two stories, two pages apart, on this race. They agree that he ran solo, winning by a full lap. 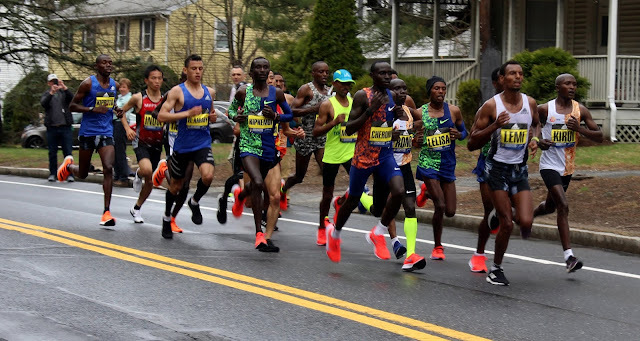 They also agree that the first mile went off in 4:19.5 and three miles were covered in 13:10.5. The second mile is in dispute. One story has him at8:47, the other at 8:52. No matter, in both he breaks the record. 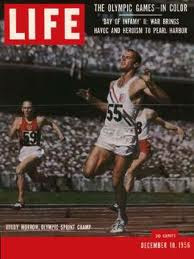 He now holds world records at 3 miles, 5000 meters, 6 miles and 10,000 meters. 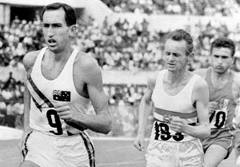 Franz Stampfl has a young Australian he says will be a great miler. The 19 year old ran 4:11.0 last month and has PRs of 48.8 and 1:49.8. 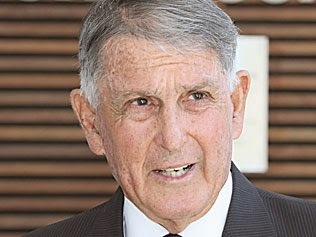 Keep the name Ralph Doubell in mind and we'll see if he proves Franz right. 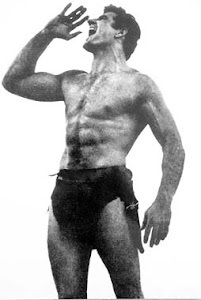 Need to know a bit more about Franz Stampfl? The US indoor season is underway with a yawn. The San Francisco Examiner Invitational must have been run on the worst indoor track in recent memory. 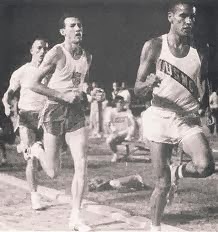 There is a photo of Billy Mills winning the mile over Olympic 1500 finalist Alan Simpson in 4:08.1 thereby earning the outstanding performer award. The following week the Knights of Columbus meet is held in Boston. Joe Lynch runs a 4:06.0 mile and is named the outstanding athlete. 'Nuff said. Things pick up the next week at the LA Invitational. 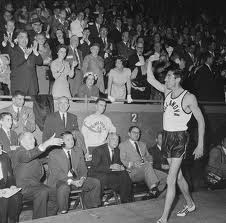 Ralph Boston leaps 26-5, the third best ever indoors. 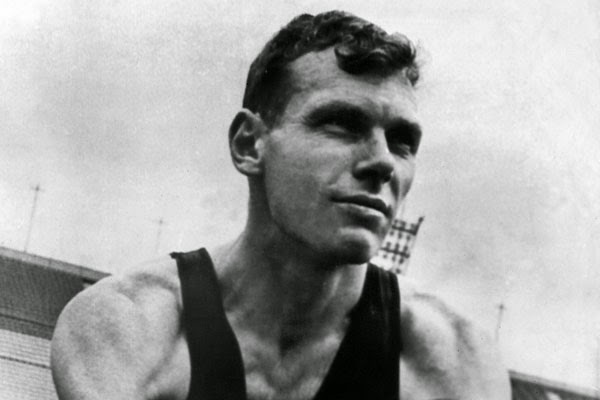 Bill Crothers doubles in the 600 and 1000 (1:10.5 and 2:12.8). 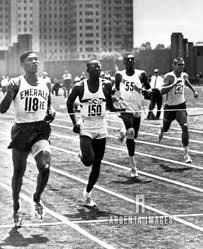 USC freshman, Earl McCullouch, scores the first victory of his college career, beating Rex Cawley in the 60 hurdles in 7.2. 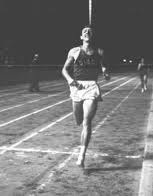 The best race of the meet sees George Young blaze a 58.3 final lap to beat Billy Mills in the two mile, 8:41.2 to 8:44.8 with Gerry Lindgren third in 8:47.2. The Athletes of the Year are as follows. 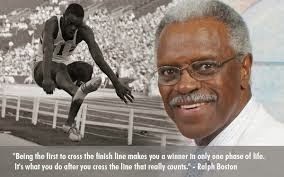 (note: If the AOY is a track athlete, the best field athlete will be named as the “other” and visa-verse.) 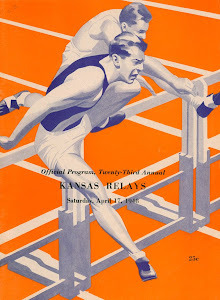 World: Peter Snell (Dallas Long), US: Bob Hayes (Dallas Long), European: Gaston Roelants (Jozef Schmidt), US Open: Dallas Long (Mike Larrabee), US Collegiate: Bob Hayes (John Rambo), Junior College: Ed Caruthers (Bob Delany), Collegiate Frosh: Randy Matson (Charlie Greene), High School: Jerry Lindgren (Paul Wilson), Cross Country: Elmore Banton, Indoor: Wendell Mottley, Most Outstanding Performance in a Single Meet: Billy Mills, Olympic 10,000. The February report, coming up soon, will be more fun. Stay tuned. 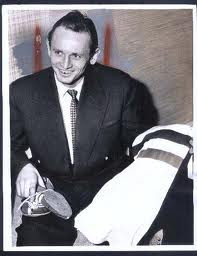 V.5 N. 3 Jim Hogan R.I.P. 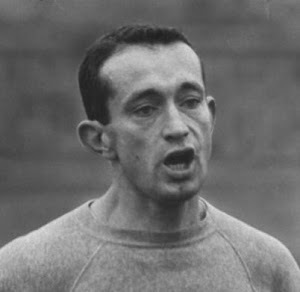 One of the familiar faces and episodes in the 1964 Olympic Film was Jim Hogan running after Bikila in the marathon, but finally succumbing to the wall and dehydration and literally begging for water while sitting on the curb of the road. We knew little of this game runner but some of his history is revealed in this following story from the Irish Times. R.I.P, Jim and we'll remember your efforts. 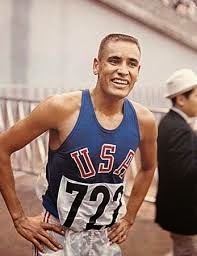 These were our words about Jim Hogan a few months ago when describing the 1964 Olympic Marathon. 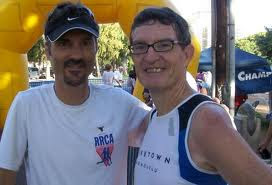 Ron Clarke, running his first high level marathon, is out to make up for what has been a disappointing Olympics so far. 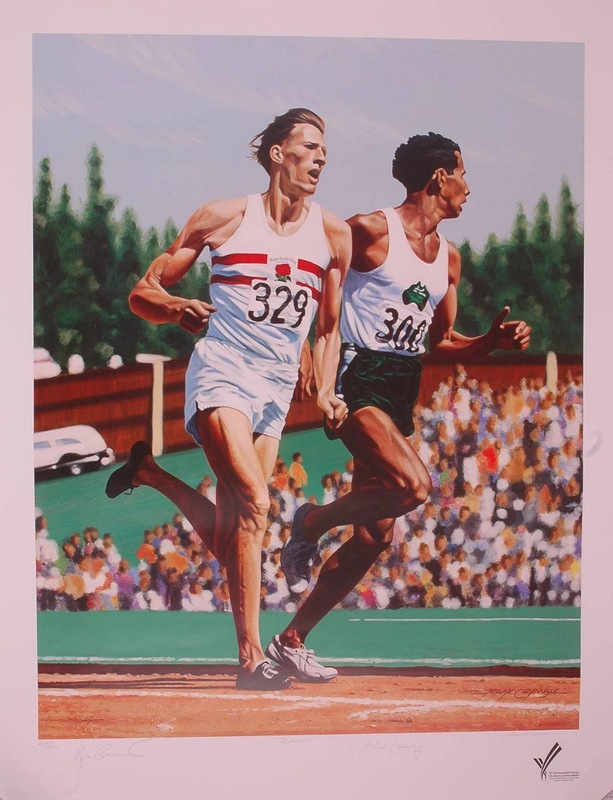 He and Jim Hogan of Ireland lead through 15K, but by 20K it is Abebe Bikila who has taken over. 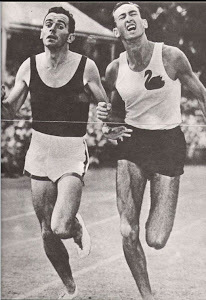 Clarke would say later, “I know now that marathon running takes special training”. Hogan is the only one to stick with the defending champion, but by 25K Bikila's lead is 10 seconds. At 30K it is 40 seconds and by 35K it has grown to 2:26. Shortly thereafter Hogan's brave effort to stay with the great Ethiopian takes its toll and he retires. He appears at 5 min. 30 sec. of this youtube clipof the race. on his blog in 2013. 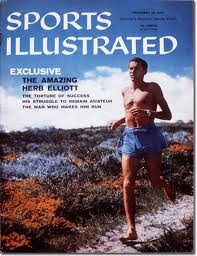 Apparently Jim was a proponent of barefoot running. The only thing we knew for sure about Jim Hogan was that his name wasn’t actually Jim Hogan. 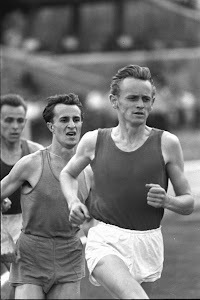 He was born Jim Cregan, in Croom hospital in Limerick, on May 28th 1933, and if not one of Ireland’s most successful distance runners, he was certainly one of our most enigmatic. 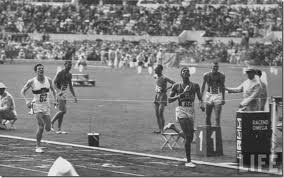 In 1960, when first moving to England to find work, he changed his surname to Hogan: over the next four years he made several international appearances for Ireland, most famously at the 1964 Olympics in Tokyo, where he was the last man left chasing defending marathon champion Abebe Bikila, from Ethiopia. 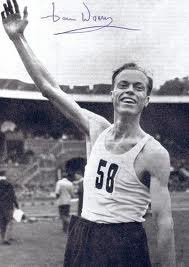 All Hogan had to do was to stay on his feet, keep moving forward, and an Olympic silver medal was his. Then, just after 23 miles, he dropped out, truly dehydrated. 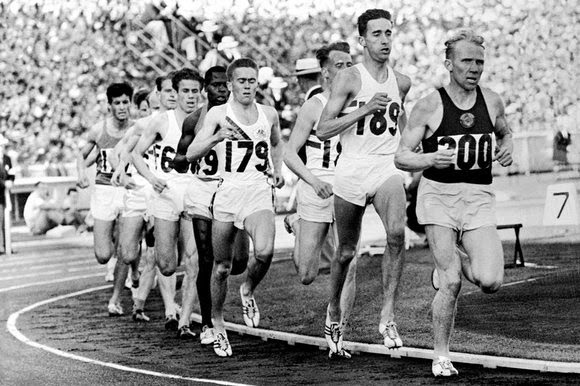 Two years later, at the European Athletics Championships in Budapest, Hogan truly conquered the distance, winning the marathon title in 2:20:04 - still the only Irish man to win a European championship gold medal. 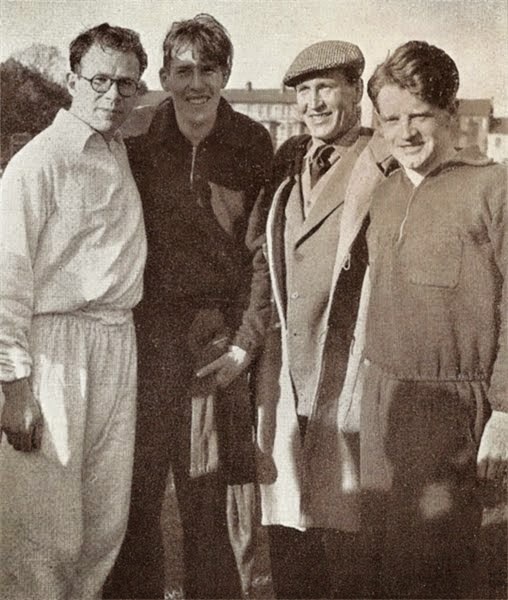 Hogan, however, was actually wearing an English vest, having switched allegiance in 1965 due to his increasing dissatisfaction with the officialdom of Irish athletics. 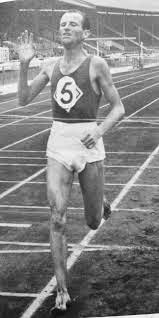 During that period Hogan also set a world record for 30km on the road, running 1:32:25, and also a European Indoor three-mile record of 13:37.2. 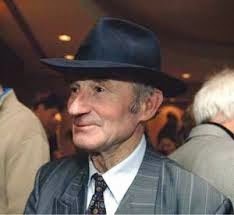 In his later years he returned to Limerick, settling in Knocklong, and after the death of his wife Mary, dedicated much of his life to the horse racing world, breaking and training horses well into his 70s. He died peacefully on Saturday, aged 81, and his funeral mass takes place at noon tomorrow, Monday, at St John The Baptist Church, Athlacca.